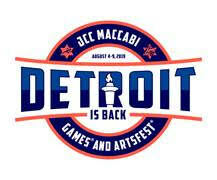 The Grammy-winning Klezmatics bring their high-energy music to Detroit to help celebrate the JN’s 75th anniversary. And Time Out New York knows what it’s talking about. More than three decades ago, musicians Frank London and Lorin Sklamberg happened to meet in New York’s East Village and realized a common interest in Jewish and Yiddish culture. 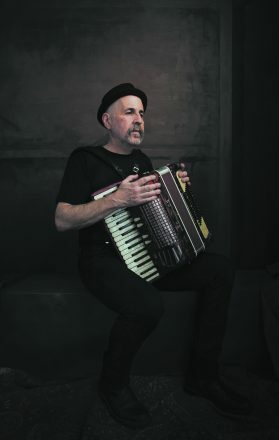 London — who sings, writes songs, and plays trumpet and keyboards — asked Sklamberg — singer and accordion player, plus guitar and piano — if he’d be interested in being in a klezmer band. He was. They added four more musicians, including Paul Morrissett — the band’s third original member — and created the Klezmatics in 1986. The Klezmatics (clockwise from top left): Paul Morrissett, Lorin Sklamberg, Matt Darriau, Frank London, Richie Barshay, Lisa Gutkin. 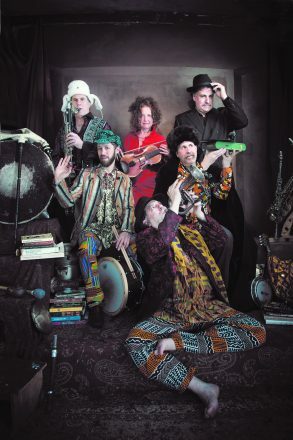 The six-member Grammy-winning band plays instruments including the violin, accordion, clarinet, saxophone, trumpet, electric bass, drums and more to create a “wild, mystical, provocative, reflective and ecstatically danceable” genre of music that borrows on history and tradition yet is entirely their own — and which has passionate fans around the globe. On May 3, the Klezmatics, in all their colorful joie de vivre, will head to Metro Detroit to celebrate another long-standing tradition as they play the Detroit Jewish News Legacy Gala. 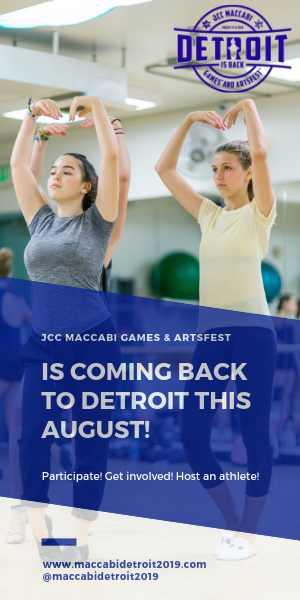 The event will celebrate the 75th anniversary of the publication and highlight multi-generational families who have helped shape the Detroit Jewish community. Klezmer, a Yiddish word that comes from two Hebrew roots meaning “vessel” or “instrument” and “song,” was actually a term used for the person who played the instruments. Klezmer music, which has Eastern European Jewish roots, came to North America as those Yiddish-speaking immigrant musicians arrived with their communities from the 1880s to the 1920s, when they met and assimilated American jazz. At this time, it was often referred to as “Yiddish” music, or sometimes freilech music (“happy music”). The music, which waned in America following the Holocaust and also saw a paucity of new immigrant musicians, was rediscovered in the mid-1970s and spread in the decade that followed through North America, Europe and beyond. Growing up in a Reform home on Long Island, practicing Judaism in English, Frank London didn’t discover Yiddish culture or language until later. But when he did, klezmer music spoke to him. 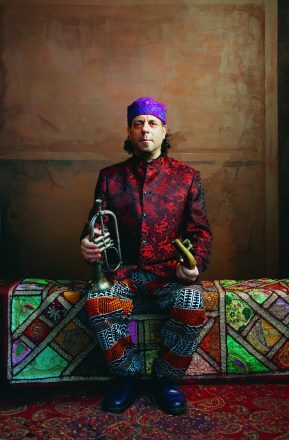 A student of the world’s music, he discovered klezmer and Yiddish decades back alongside other global flavors of expression. London went on to become a founding member of the Boston-based Klezmer Conservatory Band in the 1970s, before putting together the Klezmatics. “Every music of the world does the same thing,” he says. “They express all the range of emotions people have.” But klezmer and Yiddish also speak to a certain type of flourish found in old cantorial music. Expressive melodies are intended to replicate the human voice — the sounds of crying, wailing and laughing. Sklamberg grew up around Yiddish speakers from his grandparents’ generation, hearing bits and pieces of the language with Jewish culture around him. He moved to New York from Los Angeles in 1983 to be more immersed in a city with more Jewish flavor, but he also arrived on a more developed music scene. When he and London met, Sklamberg was playing accordion in a brass band. When the Klezmatics started, the goal was to express a music they loved, says London. That ran counter to the current at the time of treating Yiddish culture and klezmer music as a thing of nostalgia or kitsch. Instead of seeking to make the music hip by modernizing it, they sought to let it stand in its own right. “We said, ‘This culture is already hip; we don’t need to do anything. All we have to do is strip away layers of kitsch or sentimentality that people have put on it because it already has everything,’” he says. Klezmer music is fun and accessible even if it’s in a language many people don’t understand, London says. Building off of their passion for the music, they’ve mixed it with others over the years, like a recent kosher gospel tour with Joshua Nelson that had people dancing in the aisles. They’ve collaborated with violinist Itzhak Perlman, Pulitzer Prize-winning playwright Tony Kushner and Israeli vocal icon Chava Alberstein. They’ve worked with folk singers Theodore Bikel and Arlo Guthrie, poet Allen Ginsburg and Neil Sedaka. Choreographer Twyla Tharp incorporated their music into a new work to celebrate the 100th anniversary of Martha Graham’s birth. And the list goes on. 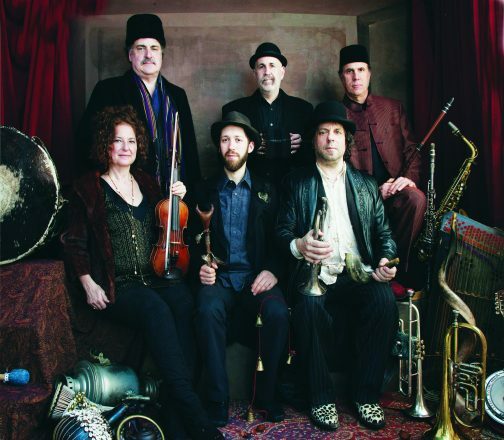 Over their time together, the band has deepened its connection to the Jewish, Yiddish and klezmer elements at its core and built a rapport as a group — their newest member has been with the band about a decade — while also continuing to learn and transcribe new material. “It means with every project we do we can bring more to it; we can infuse it more with its roots,” London says. What’s the secret to continuing to write and play with broad appeal after 30-plus years? Playing quality music without trying to play to an audience or figuring out what most people want to hear, London says. They also try to “keep it fresh,” he says, and take on each project on its own terms. From embracing Americana as they work on Woody Guthrie material to taking a “very modern, almost Philip Glass-approach to Jewish music” as they work with an avant-garde Hungarian filmmaker to playing thriving dance music at weddings, they come to all of their projects with integrity and bring to it the highest quality level they can. He says he’s also honored to be part of the movement to make sure the tradition of klezmer lives on. “I want people to love this music, I want them to love this culture that we’re a part of,” Sklamberg says. The Klezmatics will perform Thursday, May 3, at Congregation Shaarey Zedek in Southfield, followed by a dessert afterglow, as part of the Detroit Jewish News Legacy Gala. General admission is $75; $36 for those 36 and younger. Event begins at 7 p.m.